Waterfall Audio Elora centre speaker is beautifully sculptured with a thick double sheet of glass and solid aluminium structure. 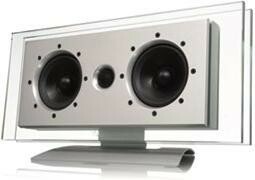 Elora is closer to art than to hi-fi, yet sound amazing and is one of the most stylish speakers we've seen. The Elora centre speaker is technically the same as the Elora satellite speaker but configured in landscape to be used as a single centre speaker. It can be placed either on a solid surface or wall mounted with the included wall bracket. 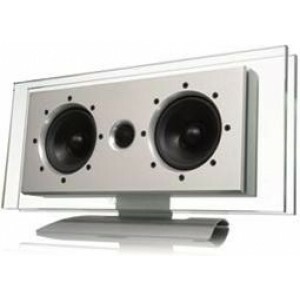 These are usually used as a centre channel with Waterfull Igascu Evo or Waterfull Victoria Evo speakers on the front channels, but can be matched with almost any other speakers when a stylish, compact centre channel is required.